Preliminary preparations for offering Iran’s crude oil to buyers though the national stock exchange is underway, an official with Securities and Exchange Organization said. 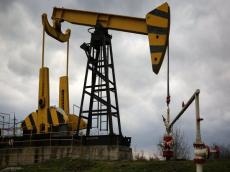 Preparations to sell Iran’s export grade crude oil on the Iran Energy Exchange (IRENEX) is underway, and the Iranian oil ministry and IRENEX are currently finalizing their talks, Saeed Fallahpour told Trend. A set of instructions will be written for the firms interested to trade oil on the exchange, he added, noting that the firms’ commitments and previous record will be taken into account. The move to offer oil or any other goods on the exchange will be aimed at helping the government to facilitate oil trade and business transparency. "We can use various tools to manage risk on the exchange," he said. Elsewhere in the interview, Fallahpour said plans are underway to offer foreign currencies on the stock exchange as well to help the government control the market. "The government has launched a parallel secondary market, but foreign currencies may be offered in the exchange market soon". I think the best market to attract liquidity is the stock exchange, the official said. The secondary market was launched after the fall of the national currency in Iran which provoked a public outcry over the quick rise of prices of imported consumer goods. In an effort to halt the slide, Iranian authorities announced in April they were unifying the dollar’s official and black market exchange rates at a single level of 42,000, and banning any trade at other rates under the threat of arrest.